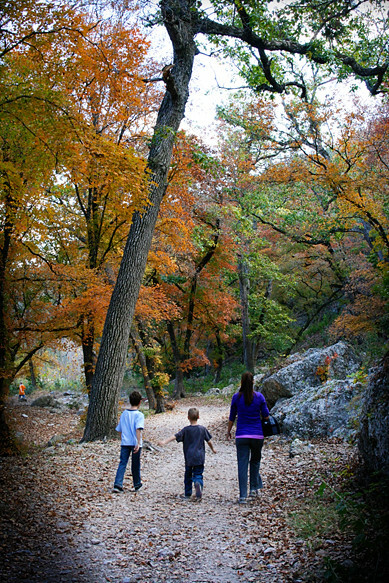 Wife and sons walking in Lost Maples State Natural Area in the Texas Hill Country. Just browsing through all of your blogs today and came across this picture; instantly realizing it was Lost Maples prior to noticing the caption. My dad lives in Concan, and we visit him every year for Thanksgiving. The day after feasting (gorging) on turkey and other things that make us miserable, we hike it off at the state park. Coincidentally, we were there with our daughters just two days prior to your post, on November 23rd. =) Beautiful place!